Actually, they never went away. 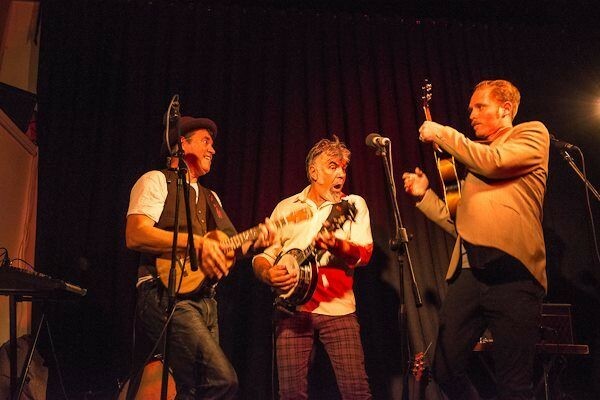 'New Zealand's original ukulele trio' have been plinky plunking their way around Aotearoa for the last five years, performing countless concerts, school shows, workshops, festivals and parties (plus one wake). The Nukes have entertained and educated all manner of kiwi kids, blokes and sheilas. Irreverent humour, high energy, and deft musicianship are hallmarks of any Nukes performance, their debut studio album 'each to their own' has become known in certain circles as an original classic and their singular sound has inspired many aspiring musicians. And now ladies and gentlemen, boys and girls, The Nukes are thrilled to announce the arrival of album no 2.entitled "Lucky Ones". The next chapter in what will surely become an epic tale of heroic feats, dashing legends, gasping maidens and one very, very smelly Ford Falcon. Album no. 2 comes bursting out of the blocks fully formed, striding purposefully forth in a perfectly cut suit, waving with a presidential smile, stopping only to kiss the prettiest of babies. The songs swagger, they sway, they convince you that things are grand, that there is hope for the future. Former chart topping popster David Parker, playing his custom bass tenor uke as if it is his last chance in life, while singing like a golden bird. He is a musical whirlwind, multi tasking with enough energy to embarrass an Indian deity. 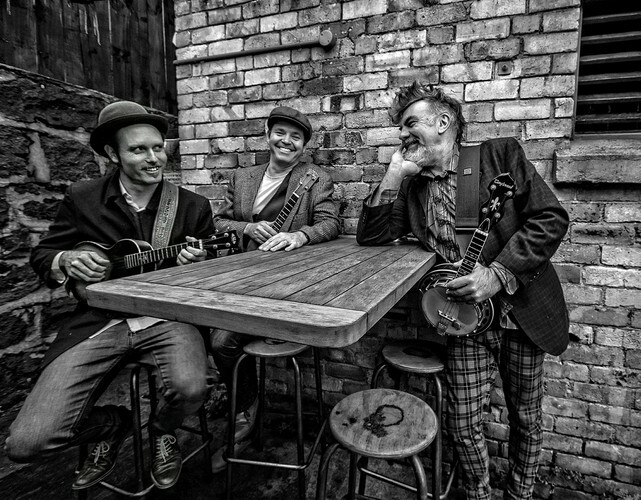 Dave 'Snapper' Theile is the banjolele weilding raconteur, with the voice of a sub-terranean warthog and the imagination of an over stimulated four year old. Snapper spins unbelievable yarns in between beating Bo Diddley beats out of his banjo-uke. Rounding out the trio is Ben Collier, a former drummer in a formerly famous New Zealand pop group (Goldenhorse), sinking to new lows or rising above it? We think the latter. Ben bends and slides his way around his arch-top tenor uke with effortless grace, inflecting The Nukes sound with just the right amount of hillbilliy charm. Individually they may not be much to behold, but put them in a bottle and shake them up and..... Holy Moses! That is one fine looking, sweet sounding, thigh slapping good time! 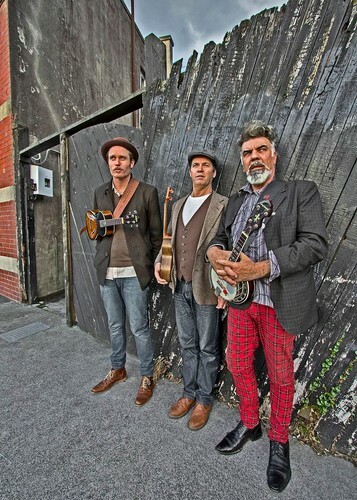 Touring from Aug 2014 and Sept, around New Zealand.